CHESTER'S LONDON MARRIAGE LICENCES, 1521-1869. John Wittewronge, of Rothamsted, co. 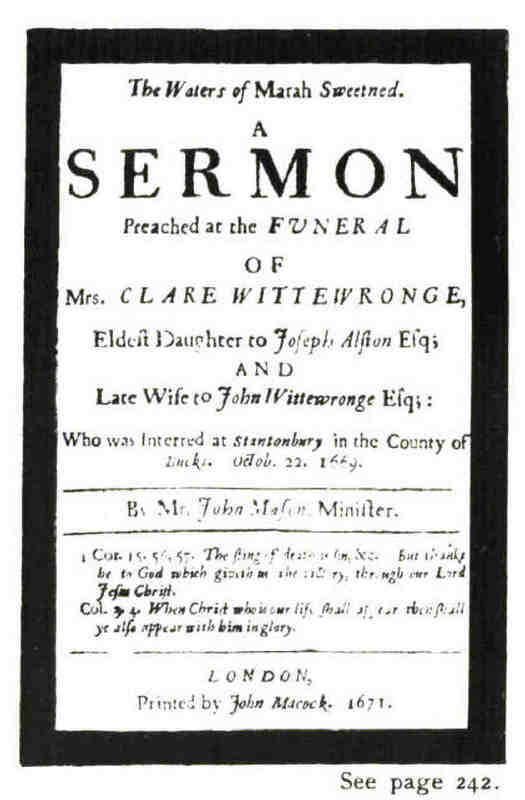 Herts., Esq., son and heir of Sir John Wittewronge, Knt. and Bart., of the same, bachelor, 24, and CLARA ALSTONE, daughter of Joseph Alston, of London, merchant, 19 friends consenting, at Kensington, Fulham, or Knightsbridge, co. Middlesex, 4 Oct., 1664.